Perram’s Spellbook is a FREE web application that will allow you to create customized spell card decks for your Pathfinder Role Playing Game characters and NPCs! With a few clicks, you can have any spells you wish printed for any core Pathfinder class, customize the size of the card, its color, and exactly which cards you need. You can even create custom cards for spells not in the Spellbook’s database from any sourcebook, even of your own creation! Perram's Spellbook 2 Alpha Now Available! 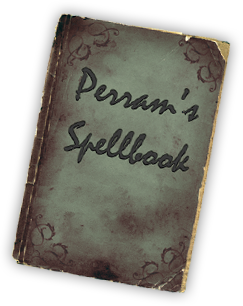 (Feb. 7th, 2013) - The new version of Perram's Spellbook 2 is now up for testing! This is a VERY early build of the app, but I'm sure you'll love it. Your feedback is super important, more than ever! So please, let me know how you are enjoying it! Your Requests & Suggestions Wanted! Dozens of features have been added to Perram’s Spellbook from the suggestions and requests of its users, including some fantastic additions I wouldn’t have thought of on my own. So if you have an idea on how I can make this product better? Contact me. I want to hear it! 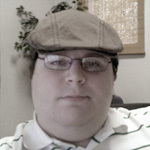 This application wouldn't be possible if it weren't for the wonderful work from d20pfsrd.com, it is their Spell Database (created by Mike, chopswil@comcast.net) that made this application possible. And also the help of the wonderful Pathfinder fan community at dmtools.org. You guys rock!